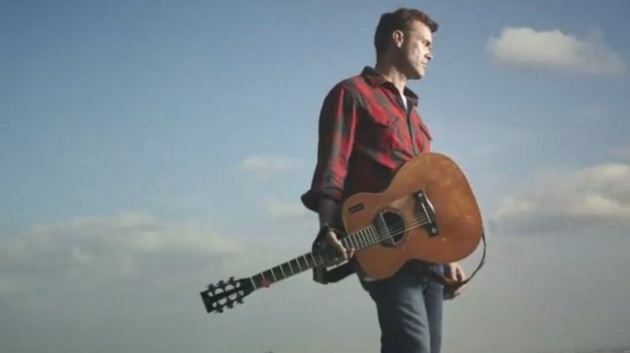 It has felt like a long, cold, never-ending Canadian winter since we last heard new music from Alberta-based country music artist Corb Lund. But like the chutes of green that come peaking out of the thawing tundra in a welcomed and well-deserved spring, the Canadian country star has put us on high alert that a new record is imminent, and it will be produced by the award-winning Dave Cobb. Things That Can’t Be Undone is the title of the new 10-track effort, and it will be released on a yet-disclosed Friday in October. A new song called “The Weight of The Gun” is also in the not too distant offing. It will be Corb’s first album of new original music since 2012’s Cabin Fever—a work that won him a nomination for Saving Country Music’s Album of the Year for its crafty songwriting and cutting lyricism. Few can write with such wit and deliver with such weight as Corb. An album of previously-released but newly-recorded Sun Studios takes called Counterfeit Blues was also released in 2014. Like Corb’s previous three efforts, Things That Can’t Be Undone will be brought to the public at the behest of New West Records. What’s new about the approach to the upcoming record is the addition of producer extraordinaire Dave Cobb. As Americana’s proverbial man behind the green curtain currently, pulling the levers of success for artists such as Sturgill Simpson, Jason Isbell, and a horde of others, he has grown into the producer du jour for the latest generation of independent country artists. The Corb / Cobb collaboration has reportedly resulted in the most stylistically-diverse album from the Canadian country star to date. And that’s saying a lot considering the quality of output Corb has been responsible for over his career. Corb Lund is a true Canadian cowboy who grew up on his family’s farm and ranch in southern Alberta. He began his music career as a founding member of the rock group The Smalls before transitioning to country music in the mid 90’s. Corb’s backing band The Hurtin’ Albertans have been with him since the beginning. Aside from these aforementioned items, further details on Things That Can’t Be Undone are scant. But to wet our whistles, Corb has released a teaser video that includes snippets of songs from the album. Produced by Dave Cobb? So it’s already an album of the year candidate then…. Awesome. Corb Lund has some songs that I may not be a huge fan of all the time but damned if the man doesn’t always make his albums and songs super interesting. He always swings for the fences and I can appreciate that about him. I cannot wait to hear the new single and eagerly await the new album. Corb Lund is a very intelligent songwriter and adding Dave Cobb as producer should only elevate this album. With new albums from Corb Lund and Jason Boland, this fall is shaping up nicely. Now, if we could get a new album from Chris Knight…. Agreed. I could also use a new album from Reckless Kelly, they are usually pretty prolific and it’s been a year or two since their last album I think. Jason Boland somehow flew over my radar, thanks for letting me know! Don’t forget the Turnpike Troubadours are releasing a new album too! Yes, I wish Chris would put something new out!! His last album was fantastic. gonna be an awesome couple of weeks for me. reckless kelly tomorrow and corb next thursday, with Tim Montana in between. Corb live is phenomenal. last time I saw him, the next night I drove a couple hundred miles and saw him again, then proceeded to get drunker than hell with him. just got back from reckless kelly and cody canada. cody canada put on a hell of a show, reckless kelly did pretty good, too (i thought it would be the other way around). canada played a lil cross canadian, but Alabama was not on the setlist. Dang. so just got nack from Corns show. What a class act. got to hear 6 of his new songs from the new album. I can tell you this, it will be the best album of this year when it drops. Corb is awesome, one of my favorites for sure. Its been way too long! Corb is arguably the last legitimate cowboy singer. At least the last cowboy singer with a solid record deal. If you live the life, his music connects in a way that nobody else’s does. Great news. I am so looking forward to this. And that teaser was very effective. Sounds great. Corb might be at the absolute top of my list of artists that I love but haven’t seen live yet. I think the last time he came through the DC area was in October 2013. He played a show at Hill Country BBQ the same month that Sturgill Simpson played a free show there, maybe a few days later. I went to the Sturgill show, but I just couldn’t swing going to the Corb show that time. I will place a very high priority on seeing him the next time he comes to town. Also, I sure hope this album elevates his profile here in the States. He deserves to have a bigger following here. Oh, he’s really great live – I’ve seen him a few times. His lead guitarist is phenomenal, too. What are some good venues for country music in DC? Whose calendars should I be watching after I move to the area? The State Theatre (Falls Church, VA). I’ll be going to the Lincoln Theatre in DC next month for the first time to see Sturgill Simpson. I hear good things about it. He’s great live. I’ve seen him a few times in different types of venues and he’s always fantastic. Also, he played a small outdoor show last year that my wife and I took our young kids to, so there are still some family-friendly concerts out there. Corb’s prior offerings have been outstanding. He puts a name and a face on the type of country music I want to see saved. No clue what Dave Cobb has got for Corb Lund. Seems to me Corb already has what Dave is selling. Oh well–at least the name factor should help get Corb out there more. exactly what I was thinking. Anyway it should be great cant wait. Great news! He’s one of my favourites. Any time Corb releases new music is a reason for me to celebrate.